In anticipation of the upcoming festive season, PROTON Edar announced its Hari Raya promotions and the customary free 20-point safety inspection for Proton owners at all its authorised service outlets nationwide. 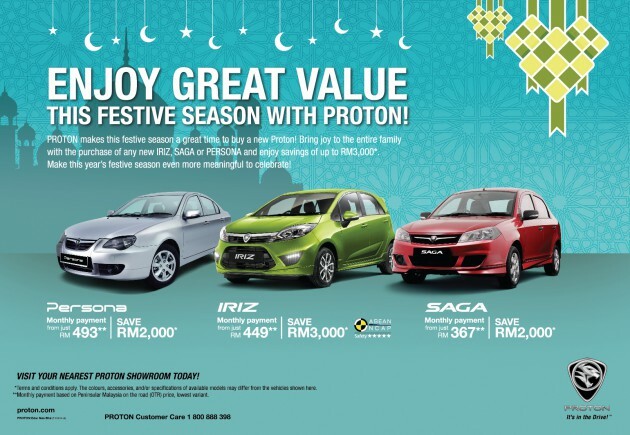 The festive promotions include exciting savings on purchases for customers and current Proton owners. Customers interested to purchase new cars during the festive season will be enjoying savings up to RM3,000 on selected 2016 Proton models, with monthly instalments from as low as RM367 for a Proton Saga. “This is especially crucial in supporting the government’s call to reduce road accidents during festive seasons and school holidays. The safety check include inspection of the brake system, suspension, tyres, battery, wiper blades, belts, lighting and also fluid levels such as engine oil, brake fluid, coolant and wiper washer. In addition, we are also offering various discounts on selected parts such as absorber, brake, clutch and timing belt.” Rohime added. In addition to the discounts offered for selected parts, PROTON will also be offering a special discount on labour charges for customers who send their cars to PROTON authorised service centres. The service campaign runs from 1 June till 31 July 2016 and both promotions will be available at all PROTON outlets nationwide. 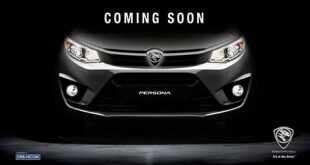 For those busy city folks who would send their cars for safety checks at the eleventh hour, PROTON will continue its tradition to be stationed at various petrol stations nationwide one week before Hari Raya so that customers are able to get their cars checked on their way to their destinations. The exact locations of the petrol stations will be announced later. In light of the Hari Raya promotions and as part of PROTON’s initiative to provide convenience to Proton customers, the Pickup and Delivery services are available to those who are unable to send their cars before the festive holidays at high traffic areas of the Klang Valley, such as Mutiara Damansara, Setapak, Bukit Maluri and Section 13, Petaling Jaya. This is to encourage customers within the 5km radius of the service outlets to have their cars picked up and serviced by these outlets. Customers are advised to call these service centres directly for appointments. This service is on a first come first serve basis.